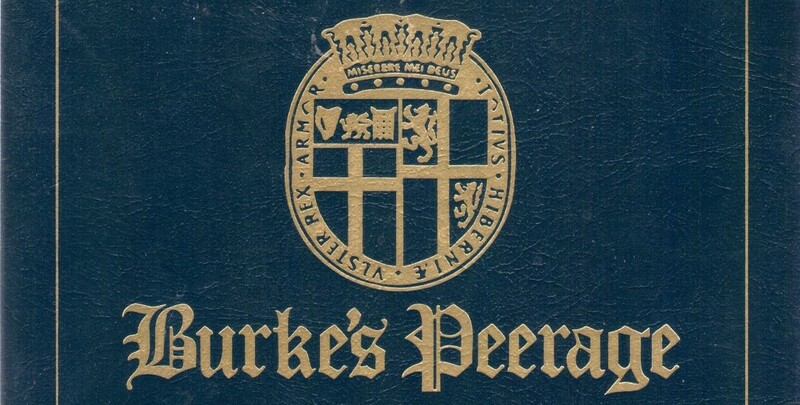 As extracted from Burke’s Peerages, dated 1866, traces the MACLELLAN’s of Kirkcudbright from around 1600 until the title fell dormant in 1832. By Letters Patent, dated 25 May, 1633. II. Gilbert, of whom hereafter. III. John of Auchlean, whose male line becoming extinct his estate returned to the family. I. Robert (Sir), his heir. II. William, of Glenshonnock, father of Thomas, 2nd Baron. III. John, of Bourg, father of John, 3rd Baron, and of William of Auchlean. William Maclellan, 4th Baron; who d. in minority, in 1669, when the whole estate was carried off by his father’s creditors, so that when the succession opened to the deceased lord’s cousin, John Maclellan, there being nothing left to support the dignity, the said John never assumed it, nor did his brother James who succeeded him, whereby the Lords Kirkcudbright do not appear as sitting in parliament from the time of John, the 3rd lord. But the right of the collateral male heir was so indisputably known and acknowledged, that at the Union, this peerage was considered as a subsisting one, and as such preserved in the roll. James Maclellan, son of William Maclellan, Df Auchlean, and nephew of John, 3rd lord, b. in 1661, did not assume the title of Baron Kirkcudbright until the great struggle for a representative of the Scottish peerage between the Earls of Eglinton and Aberdeen, in 1721, and then his right of voting was protested against; but he voted at all elections subsequently, until 1729, when he was served nearest and lawful male heir to his uncle. Lord Kirkcudbright. His lordship d. in 1730, leaving three daus. only (viz., 1 Margaret, m. to Samuel Brown of Mollance, 2 Mary, d. unm., and 3 Janet, m. to William Maxwell, of Milton), whereupon the Barony passed to the next male heir. Elizabeth, m. in 1795, to Finlay Ferguson, Esq. Sholto-Henry Maclellan, 8th Baron, b. 1771, who m. in 1820, Miss Cantes; but d.s.p., 16 April, 1827, when the title devolved upon his brother. Thomas Camden, b. 6 October, 1841, an officer 29th regiment. Robert, b. 4 February, 1844. James-Henry, b. 6 September, 1851. Sarah-Eliziibeth, m. 2 October, 1858, to Charles-Edward Lewis, Esq., of St. Pierre, Monmouthshire. Harriette, m. 2 October, 1856, Somerset-Molyneux Clarke, Esq., captain 93rd Highlanders. Katherine-Isabella, b. 21 September, 1839 ; d. 4 December 1854. Lord Kirkcudbright d. at Bruges, 19 April, 1832, and since his decease the title has remained Dormant. Arm — Arg., two chevrons, sa.